MPX Bioceutical Corp (CSE: MPX) is by all accounts one of the most diversified American cannabis plays available on the Canadian junior markets. At the current point in time it has operations established or in the works in four different states across the U.S. Further to this, it has diversified itself with respect to the services offered in each region to better support its focus of growth. What’s more, it isn’t solely focused on the American market either – it also has projects in the works in Canada as well. Now, we know what you’re thinking – thanks to Attorney General Jeff Sessions, the entire U.S. marijuana market is in limbo. Things have become less clear over the last several days with regards to the United States path forward on recreational marijuana. However, in response to this uncertainty, almost all states with some form of legalization have stated that their position will not change on the matter. This is good news for investors, and it has in fact strengthened the market. With respect to MPX Bioceutical, their share price has already recovered from the fall on January 4 that was a result of Sessions’ comments. So whats so great about MPX? 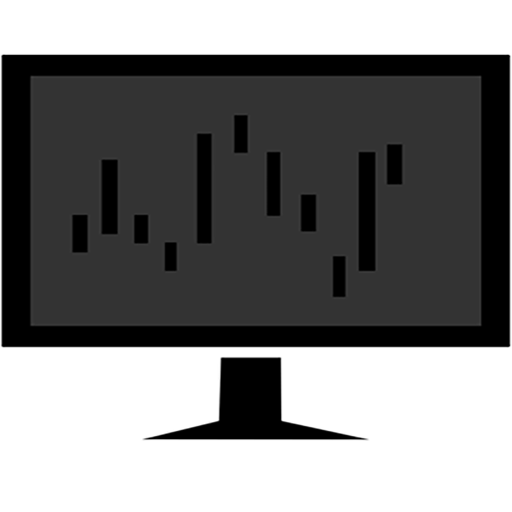 Lets start from the top, and perform our full analysis as we promised earlier in the week. Here we go! MPX Bioceutical, previously known as The Canadian Bioceutical Corporation, initially entered the cannabis market on January 7, 2015. It did so by announcing that it had formed a new subsidiary, BioCannabis Products Ltd, which had recently applied to become a licensed producer under the MMPR regulations, the predecessor of the ACMPR process. In order to facilitate the process of growing medical marijuana, the company entered a letter of intent for a 155,000 square foot facility in Owen Sound, Ontario. However, this has since been paired down to 72,342 square feet as a result of the delay in obtaining a license for cannabis cultivation. The company has since classified this as phase one, as they have the option to upsize their space to a total of 475,000 square feet. As it currently stands, the facility is in the “Detailed Review and Initiation of Security Process Stage”. The company anticipates that it will be ready for cultivation by the second half of 2018. In order to speed this process up, they have begun preparatory work on the facility and have installed the required utilities. The company expects the first phase of the facility to produce 8,000 kg of dried product on an annual basis, as well as 300 kg per year in the form of concentrates. It’s safe to say that this facility has not gone to the initial plan set out by MPX Bioceutical when it first initiated the process. Currently, at this point in time the company is only on the fourth stage of the seven stage process for obtaining a license to produce. Evidently, the company anticipated on this being a much faster process. To alleviate financial stress related to the delays with licensing, the company elected to diversify its portfolio in July of 2015. This point in time was the turning point for MPX, as this was when it elected to enter the United States market, effectively setting itself on the course for what it would become today. Had they not elected to do this, its entirely possible that the company would have failed over the previous two years due to the delayed process. Essentially, Arizona can be classified as MPX Bioceutical’s home base. Although its subsidiary CGX Life Sciences is asctually based out of Nevada, Arizona is where the major operations currently reside with respect to the companys US based assets. Formally, the company entered the marketplace on January 23, 2017, with the acquisitions of a group of companies focused on the Arizona market. This deal was initially announced during the same period in 2016, but it took just shy of a year to finally close on the deal. Specifically, it obtained the Health For Life brand, which currently owns two dispensaries in the Phoenix area. Additionally, it also obtained the Melting Point Extract (MPX) brand, which is focused on concentrate products related to cannabis. MPX products are sold wholesale and distributed to both of these dispensaries, as well as to their competitors in the region. Health for Life Mesa North, image from MPX Bioceutical investor deck. Additionally, these two entities under a management agreement provide support to two cultivation and production facilities. Collectively, these facilities cultivate approximately 1,600 kg of dried product annually, as well as 60 kg of concentrate product. Further to this, expansion is in progress to increase dried product figures to 3,200 kg on an annual basis, and concentrates to 500 kg. The total cost of this acquisition was $19.7 million CAD in cash, as well as a $13.1 million promisory note. This note is for a period of three years and bears interest at a rate of 8%. These U.S. based assets are owned under the companies CGX Life Science subsidiary. In addition to these assets, MPX also recently acquired the assets of PerkAZ Property, an Arizona based company that currently holds a management agreement with Healing Center Wellness Center, a dispensary. Also with this acquisition, it acquired 44.3 acres in Chino Valley of Arizona. Total transaction costs for this deal came in at $4 million, three million of which was in the form of cash. Finally, a letter of intent was signed on May 17 for the acquisition of an organization that provides management services to a dispensary in the Phoenix area. Details were scarce on this acquisition, and no further agreement has arose at this point in time. As per the latest MD&A issued at the end of November, the company is in the final stages of due diligence for this deal. In total, at the time of writing, Arizona is the subject of two operational dispensaries under management by MPX Bioceutical. Meanwhile, one is under construction and is expected to be opening shortly. Further to this, there is a fourth currently waiting in limbo, dependent on whether or not anything materializes out of a letter of intent. The state acts as the primary source of MPX’s revenues at this point in time, and likely will into the future as well due to its strong showing in the state. Originally, Nevada was set to be the initial focus of MPX Bioceutical’s U.S. based operations. This was a result of a letter of intent the company entered on August 10, 2015, shortly after announcing their diversification south of the border. The LOI was for that of a company granted both a cultivation and a production license in the county of Henderson. However, this transaction was terminated by the company on January 25, 2016, when it announced that it had entered a letter of intent for a marijuana management company. Coincidentally, this second letter of intent is ultimately what enabled the company to enter the Nevada cannabis market. Within the later agreement that was signed, was the option to purchase GreenMart of Nevada for $9 million. MPX Bioceutical began the process of exercising the option on May 4, 2017. With respect to its operations, GreenMart is a licensed cultivator and producer of cannabis. Currently, they sell their product wholesale for both the medical and recreational markets in the state. Their facility consists of an annual production of 1,600 kg of dried product, and 85 kg of concentrates. Additionally, they have already optioned two locations for future dispensaries. Revenue projections for the facility have not been provided as of yet. The first mention of the Maryland market occurred on May 17, 2017, when MPX Bioceutical announced that it had signed a series of non-binding letter of intents. Included, are three LOI’s for management companies in the state of Maryland. Although details on the proposed transaction are currently slim, it involves property for three cannabis dispensaries, as well as one production facility. At the time of the announcement, only 109 dispensary licenses had been issued in the state, as well as fifteen production licenses. The details on the facilities in which MPX would be acquiring were not released, aside from the information related to these licenses. The last tidbit we were given is that the production license is also valid for concentrates. The acquisition of these companies was anticipated to occur by June 30, 2017. However, this has not occurred yet. The company notoriously issues expected dates however that are nowhere near the actual closing date. Additionally, an unrelated transaction occurred in the Maryland market on December 12. On this date, MPX Bioceutical entered into a management agreement with LMS Wellness, Benefit LLC. Under the terms of this agreement, MPX will build and manage a dispensary in the Baltimore region. The details of MPX Bioceutical’s management agreement in Maryland. Based on all the functions that MPX will be performing under the management agreement, which includes constructing the storefront, we aren’t entirely sure what it is LMS is bringing to the table. MPX is performing all functions, including the financing of the project based on the information provided. To this end, the facility has already been partially constructed, for which MPX will reimburse expenses. 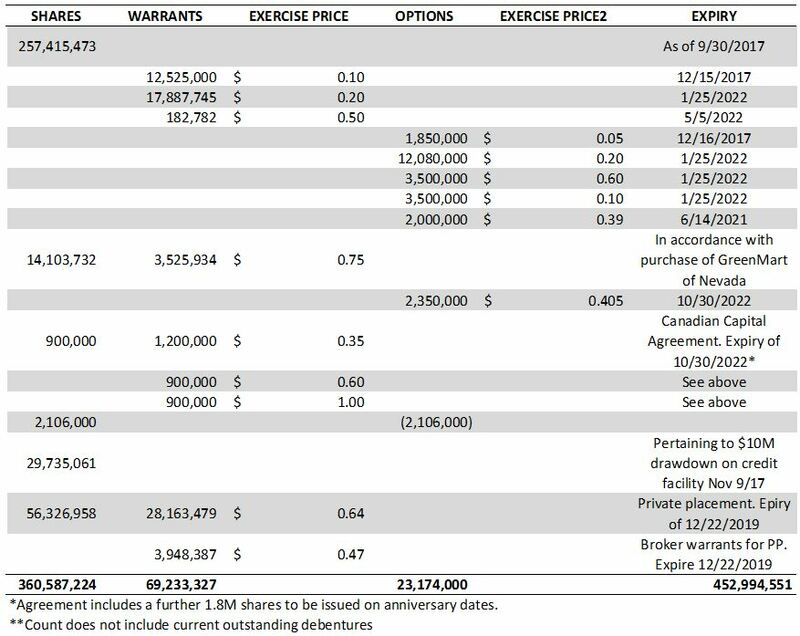 Interestingly, MPX has also purchased the option to buy 91% of LMS Wellness for $1.00 within the next two years. To acquire this option, they paid US$1,233,808.68. For the remaining percentage of the company, they acquired a similar option from LMS Wellness shareholder William Huber. In addition to the debts LMS will be assuming, the total cost of the transaction is CAD$3,581,690.20 based on the exchange rate on December 6, 2017. The option was purchased through the companies CGX Life Sciences subsidiary. The only item preventing this acquisition from occurring, is that under the terms of the option the facility must be granted a license by the state of Maryland to dispense medical marijuana. Perhaps this is the reason for the encompassing management agreement. Should the license not materialize, the downside risk is small for MPX. It is anticipated that this facility will be operational in early 2018. The Massachusetts market was formally entered on June 15, 2017 by MPX Bioceutical. To do so, they acquired 51% of IMT LLC, as well as Fall River Developments LLC. 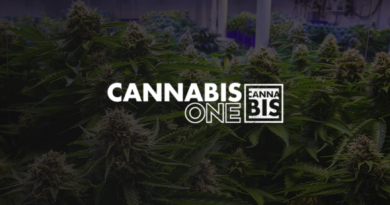 Both of these organizations do not produce or sell the cannabis products themselves, but rather provide management services to a company licensed to perform such functions. Collectively, three dispensaries will be co-owned under this acquisition. One of these dispensaries is currently being developed, while the remaining two have recently applied for zoning permits. Additionally, a new cultivation facility is being developed that is expected to grow 2,250 kg of dried product, and produce 500 kg of concentrates per year. Revenue projections were not given for these facilities. With respect to the transaction, the acquisition came at a cost of $5.1 million CAD. Additional payments of $1.1 million CAD will occur upon the licensing of the two dispensaries currently in the application stage. This will result in a 51% ownership of current and future real estate assets of the two companies. Further to this, a $10 million line of credit will be issued to IMT and Fall River collectively, which bears interest at a rate of 8% per annum. It is expected that revenues will begin to flow in late spring 2018. Last but not least, is the upcoming joint venture with that of Panaxia Pharmaceutical Industries Ltd, an Israel based company focused on smokeless cannabis products that are of pharmaceutical grade. The joint venture, for which the two companies have signed a binding term sheet for, is for the production of several of Panaxia’s products within MPX Bioceutical’s facilities. Under the proposed terms, MPX will provide the raw material, as well as the facility space for the production of the products, in addition to sales and marketing. In return, Panaxia will provide the non-active ingredients for production, as well as run the operations. Revenues will be split equally for the operations, however Panaxia will supply the funding for any expenses incurred as a result of establishing operations. Under the terms of the agreement, MPX will own the rights to the distribution of the products within the states of Arizona and Massachusetts, as well as Nevada and Maryland upon the closing of transactions in those states. The company will have right of first refusal for distribution in all other states, with the exception of California, New Mexico, and Colorado. It was anticipated that the joint venture would have its first facility operational by November 2017, with sales occurring before years end. However, no further details have been released related to the venture at this time. Currently, revenues are only being accumulated at MPX Bioceutical’s two dispensaries in Arizona. As a result of that, revenues aren’t overly exceptional given everything the company has in the works. Also, remember that these figures are as of September 30, 2017. They just closed off their latest quarter at the end of December but these financials won’t be available for some time. MPX Bioceutical revenues as of September 30, 2017. 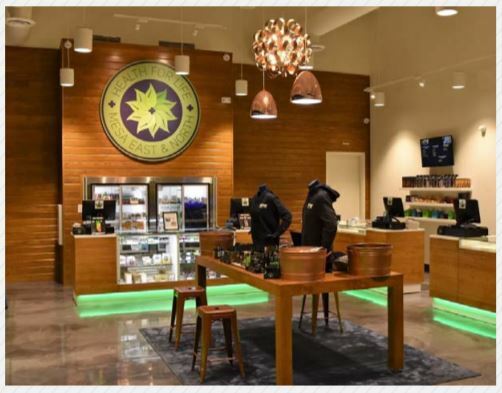 In total, they generated $4.4 million in sales during the three month period, between two dispensaries. Effectively, each dispensary is bringing in roughly ~$735,000 per month in gross sales using simple math. Unfortunately, expenses are coming in even higher which has resulted in a consistent loss on operations activities. Based on the rough estimate of $16 million in revenues for this fiscal year, its clear that investors are certainly pricing in future revenues substantially. With regards to the sales figures for MPX Bioceutical, one peculiar detail caught our eye. Within the various news releases, as well as the investors deck, it indicates that within Arizona their facility produces 1,600,000 grams, or 1600 kg, of dried product per annum. It also indicates that it can produce approximately 150,000 grams of concentrates. Annual production capacity for MPX Bioceutical. Sourced via slide 12 of the investor presentation. Yes, there are discrepancies, but it comes from the investor presentation, so there’s not a whole lot we can do about it. However, is this capacity required? Undoubtedly, the typical pot stock investor would scream from the rooftop that not only is it required, but even more expansion is needed to satisfy demand. But is that really true? MPX Biocetical’s Arizona dispensary sales for the six month period ended September 30, 2017. The latest MD&A issued by the company potentially paints a slightly different picture. One of two things is true as a result of this paragraph. 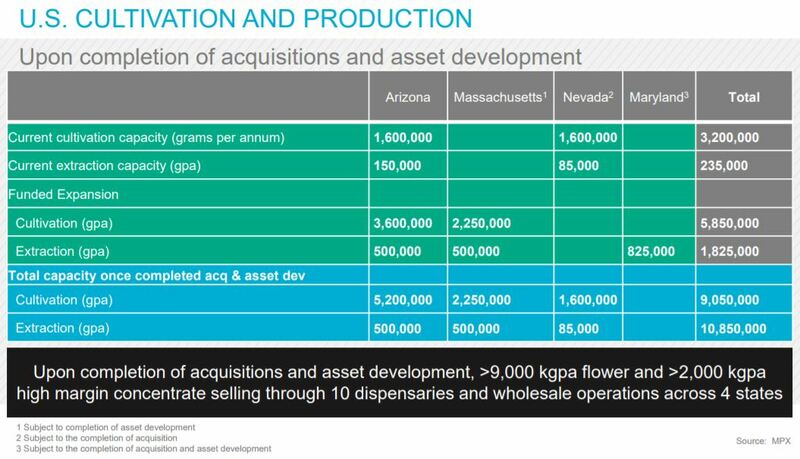 The first option, is that the Arizona cultivation facility can produce nowhere near the claimed 1,600,000 grams per annum. The second, is that demand for cannabis flower in the state of Arizona is not near as much as is claimed, and the company only needs to keep production at 50% as a result of it. Irregardless, is the currently funded expansion for a 3,600 kg per year facility required at this time? For shareholder value, neither answer is a positive one. Snippet related to Arizona concentrate production found in the November 29, 2017 MD&A filed on SEDAR. The bright side, is that concentrate production appears to be adequate, if not undersized. To this end, it was tucked away neatly in the latest MD&A filed on November 29, 2017, that some facility maneuvering would be occurring, which will result in the production of concentrations rocketing to 1.1 million grams per annum in Arizona alone. The benefit of this is that through the MPX line, these products are sold in 40% of the dispensaries operational in Nevada and thus additional capacity can be brought on. Estimated current share structure of MPX Bioceutical as of January 6, 2018. In short, the share structure leaves a lot to be desired. Although the company may have a lot going for it, its limiting itself with the current share count. We realize that this large dilution is a result of requiring funding for their numerous expansions over the last year. However, the cheap price of these shares is bound to hold the company down in terms of upward momentum. Based on the January 5, 2018, closing price of $0.93, it gives the company a market valuation of approximately $335.35 million. Fully diluted, this figure balloons to $421.28 million. Whether or not this is a fair valuation based on the future potential of the company is up to the individual to decide. With respect to a proper valuation, such a figure is difficult to calculate in this current illogical overly bullish market we are currently experiencing. It seems our method of fundamental analysis has been completely thrown out the window as of late within this sector, making it difficult for longer term investors to find quality companies. However, we can take a quick glance at revenues based on current figures available. With a soon to be realized per annum capacity of 9,860,000 grams, sold at a conservative $10 USD a gram, it would give the company a rough revenue of $98.6 million USD per year. In terms of the Canadian Dollar, that’s roughly $122.39 million in annual revenue. Currently, sales are closer to $11.50 per gram, however they have been slowly eroding as more players enter the marketplace. This is on a combined figure for concentrates and dried product, as was conducted by the company in the most recent MD&A. Figures used for gram calculation were based on the chart presented in the investor presentation, with corrected data being used. Also note that these figures were as of November 2017. Figure is assuming production is at 100% of estimated capacity, and all product is sold on an annual basis. Is this appropriate for the current share price? That’s up to you to decide. Mr Boyes has been with the company for a number of years now. Currently serving in the role of CEO and President, as well as Chairman, his annual compensation consists of a base salary of $200,000 per year. Further to this, he was also granted an initial 3,500,000 stock options as a result of signing the employment agreement, which can be exercised at a price of $0.20. In addition to serving his roles at MPX Bioceutical, Mr. Boyes is also the President of NCD Associates, a company focused on assisting small to medium size business repair their business plans. He currently holds a Masters in Business Admin, as well as a Bachelors in Economics. Lastly, a few months back Scott did an AMA on Reddit, which can be found here. Presently, Mr. Stafford is serving the company under a contractual agreement which entitles him to $36,000 per year. Recently however, this was increased to $90,960 due to the increased work resulting from the acquisitions incurred this year. Mr. Stafford experience is primarily in the area of finance. Prior to serving with MPX, he was the VP of Finance at Cushfield & Wakeman. He also has experience in the real estate industry, where he was involved for several years. He currently holds both an MBA and CMA designation. Ms Stavola currently serves as the COO of the company, in addition to being the president of CGX Life Sciences, the US arm of MPX Bioceutical. Under her contract, she is to receive $50,000 per annum in base pay, in addition to $125,000 worth of common stock on January 19 of each year for the term of her agreement. Currently, she holds the largest insider position when options are factored in. This is the result of being the founder of the group of companies purchased by CGX Life Sciences, which include the Arizona as well as the Nevada operations. Additionally, she also owns companies in Maryland and Pennsylvania. Don’t be surprised if down the road these assets are also acquired by MPX. One of MPX Bioceutical’s most recent additions, Mr. Galvin joined the board of directors on October 30, 2017. In addition to this, he currently serves as the CFO and Senior VP of Holtec International, a company focused on the energy industry. Furthermore, he has been serving in executive roles across the US for approximately twenty years, accumulating experience in a number of finance roles including acquisitions. Mr Galvin currently holds a CPA designation. Also of Holtec International, is Mr Andrew Ryan who is a recent addition to the MPX board. Mr Ryan’s history is in that of law, having acting as an attorney for several years. His primary focus is that of business law, including acquisitions and mergers, as well as corporate contracts and joint ventures. Recently, Senator Richard “Tick” Segerblom was named to the board of directors as well. For those that are unaware, the Senator is a very large advocate for legalized marijuana. He has been at the forefront of legalization in his home state of Nevada, and has introduced a number of bills in relation to it. He is known as one of the strongest advocates within the US Government when it comes to the legalization of cannabis. The last member of the executive team for MPX Bioceutical, Dr Thompson is an expert in the field of cannabinoid-based medicine. He has conducted a number of studies on the topic while at the University of Toronto, and as experience in dealing with clinical trials performed for Health Canada. He currently advises the company on the medical aspect of its products. Similar to the share structure of the company, we covered the insider holdings – or lack thereof – in our briefing on MPX Bioceutical earlier this week. The link for this can be found above. Within, we went over in detail the current holdings each key member had, as well as the sell off by what was once a 10% security holder of the company. Collectively, approximately 1.88% of the current shares outstanding for MPX are owned by insiders. The fully diluted count comes in slightly higher at 5.32%, however it is still not a spectacular figure. This is one of the few disappointing aspects related to the company, but it should not be taken lightly. Insider holdings reflect the faith management has in the execution of their business plan. In this instance, its also likely due to the massive dilution the company has seen over the last twelve months. All in all, we like what we see so far with MPX Bioceutical. Unlike its public counterparts, it has focused on diversifying across the United States market, rather than solely focusing on California or Nevada. This in turn will certainly give it first mover advantage with respect to a number of these emerging markets. Although it is unfortunate that their Canadian operations have taken so long to become established, this fact can likely be accredited to the reason for the company’s success south of the border. Now, not everything is hunky-dory for the company, lets make that much clear. It has a number of issues to address, such as inconsistencies within its investor deck, and the time frames it gives investors in relation to closing deals. Not once has the company been even remotely close in any of its time estimates, which can cause disappointment and a loss of faith by investors. Furthermore, the share structure leaves a lot to be desired. If current share counts continue to increase, fears of a reverse split will begin to make their way throughout the market, thereby turning investors off from the equity. That being said, we like the potential the company exhibits. It has also identified that within this year, it intends to target further acquisitions in the states of Michigan, New Jersey, and Ohio. This would make it one of the most diversified cannabis companies within the United States, and further strengthen its position in the market place. It appears that management knows what its doing, and is executing its business plan at a high rate of success. For now, it just needs to focus on bringing its latest acquisitions online, and opening up their revenue streams. Find the undervalued companies. Research until there is nothing left to find. Dive Deep. Information for this analysis was found via The CSE, SEDAR, Canadian Insider, SEDI , Bloomberg, LinkedIn, Wikipedia, Health for Life, and MPX Bioceutical. The author has no securities or affiliations related to this organization. Not a recommendation to buy or sell. Always do additional research and consult a professional before purchasing a security.